Team around German tuning company Manhart Performance is back in BMW stables to focus on its M division model. This time we are talking about its maybe smallest model in size, but certainly not in performance even without any tuning. But why not to upgrade the little one if we can, huh? This very question was delivered at Manhart Performance workshop and the result is piece called MH1 400. You can see the difference on first sight. BMW M135i is not a model to be mistaken with its relatives. Not only thanks to its stylish M packet but also to the sound of this car coming from tweaked exhaust system. Do you think that 320 horse power of this little guy is well enough? Not for tuning specialists from Manhart Performance. That's why they decided to tune up our hatchback. 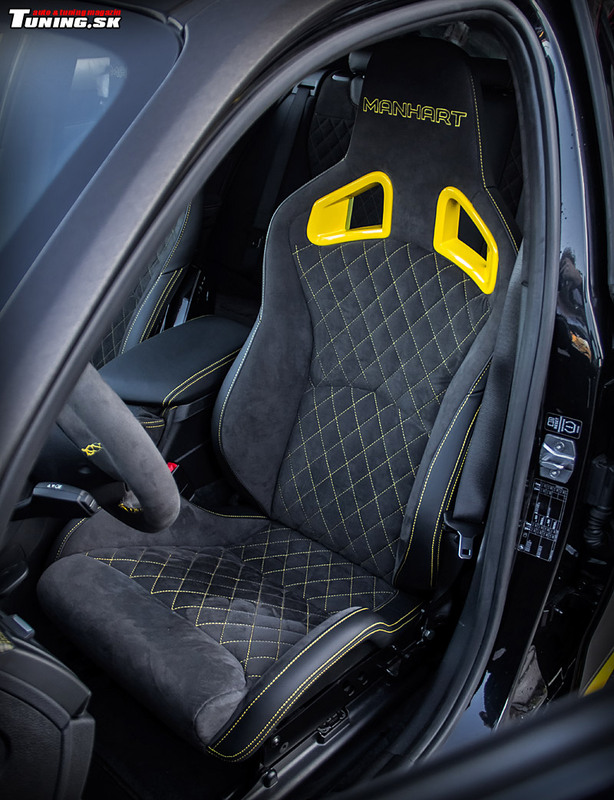 Manhart Performance designers proceed with great attention to detail. The result suits M packet perfectly. MH1 400 contains new front spoiler blade, side skirts and modified rear bumper with an integrated visible diffuser. 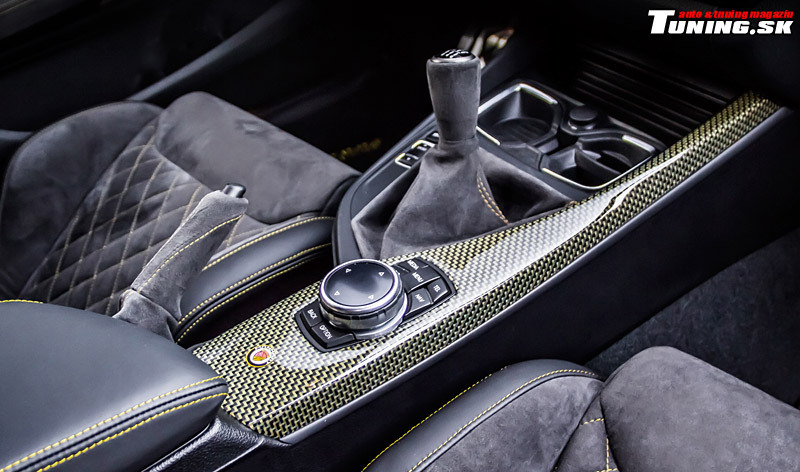 All these bespoke body parts including side mirror casings are made of carbon fiber. With a different bodywork color than black they are much more striking. Concerning the color, designers putted their bets on full wrapping in longitudinally polished aluminum in matte black. 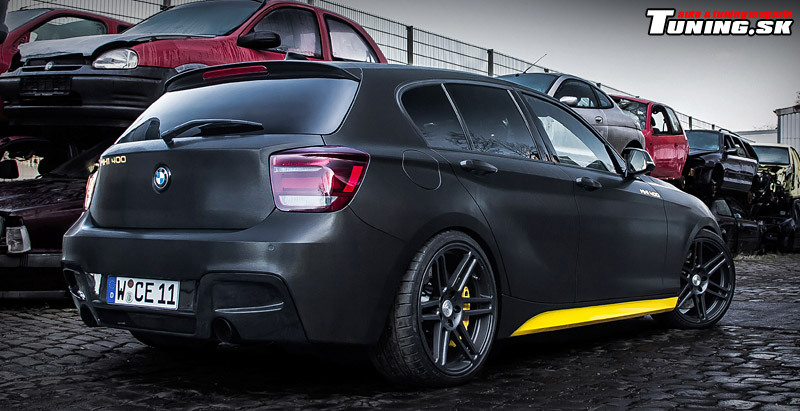 Yellow side strips are granting a special look together with matte black engine cover. 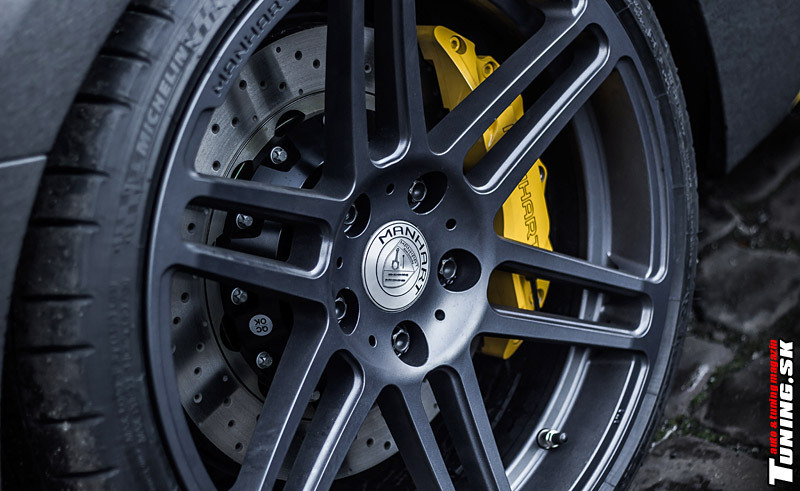 Exterior upgrades are complemented with set of 19-inch concave alloys named Concave One. 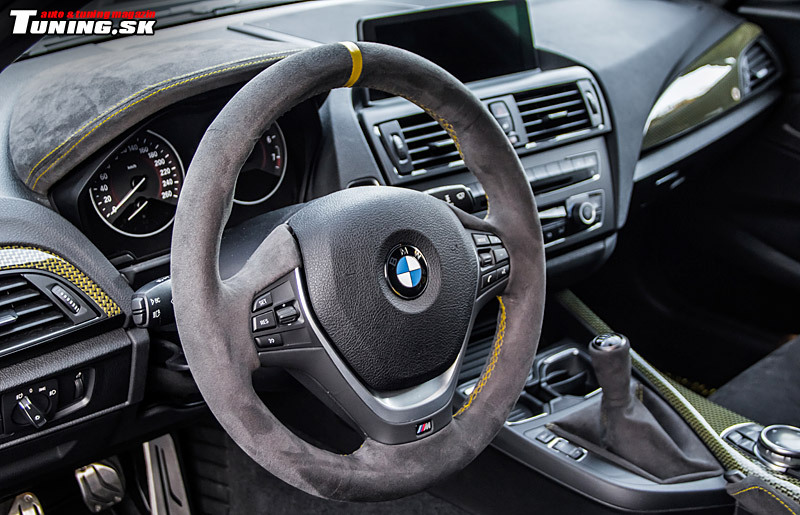 We are getting to the changes that took place under the hood and it has to be said that Manhart Performance is offering to us M135i which can be equipped with upgrades consisting of two stages. 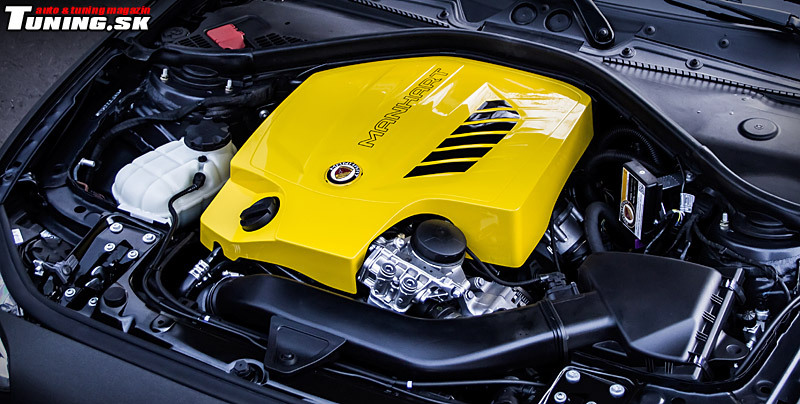 Stage 1 bumping the power of MH1 to 390 horse power and a maximum torque of 530 Nm thanks to the application of an additional control unit. Stage 2 is the peak of what you can get from Manhart Performance MH1. We are talking about new exhaust system together with catalytic converter, taking the performance of this model to 405 of horse power and 560 Nm of torque.